A man was pushed down the stairs at his home in Summerfield Road, Luton, on January 10 after being woken by burglars rifling through his house. A large amount of cash and Asian jewellery was stolen by the raiders who escaped through the back of the house. 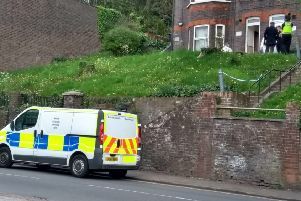 The victim was woken by the noise and confronted the burglars who pushed him down the stairs, following him down and jumping over him before leaving. Anyone with information relating to this incident can contact DC Rachael Foy, in confidence, at Bedfordshire Police on 101, or text information to 07786 200011.